A few friends and I spent a weekend in Ohio wine country this past summer. 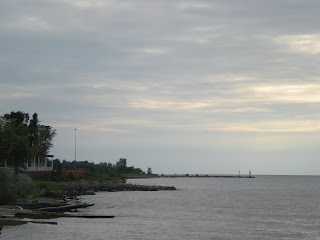 We went on a tour of the wineries on the Lake Erie Vines and Wines Trail, which is east of Cleveland. 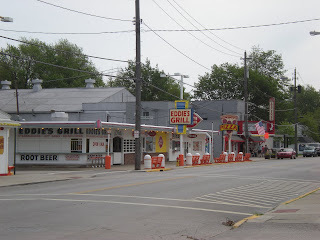 I wasn't fastidious about taking pictures of every place we stopped but took enough to give the flavor of the trip. 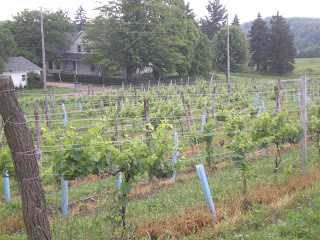 Grape vines outside of our first stop, Tarsitano Winery and Cafe. The place was cute inside and out. The cafe wasn't open since we got there kind of early, but we sampled some wine. Like a lot of Ohio wineries, the sweet ones were better than the dry. 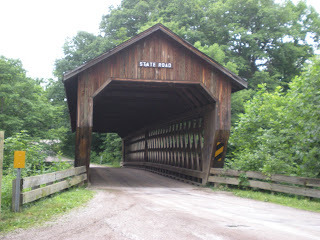 Covered bridges dot the trail and are tourist attractions in their own right. 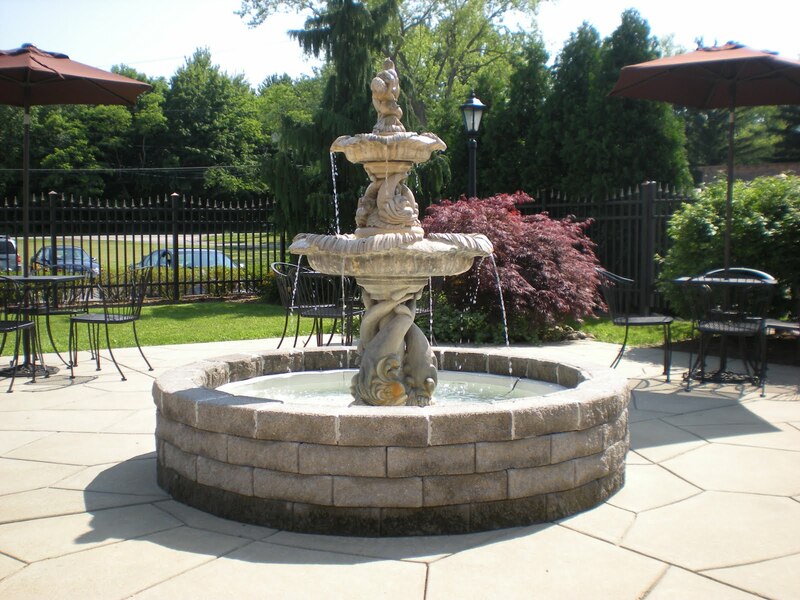 The next stop was the Old Firehouse Winery, which is in the resort town of Geneva-on-the-Lake. There was a wine festival going on in the park next to the winery so we had the benefit of being entertained while we drank. I got their Pink Crush Cooler, which is described as "a refreshing blend of wine, soda and cherry juice served in a souvenir pitcher with ice." 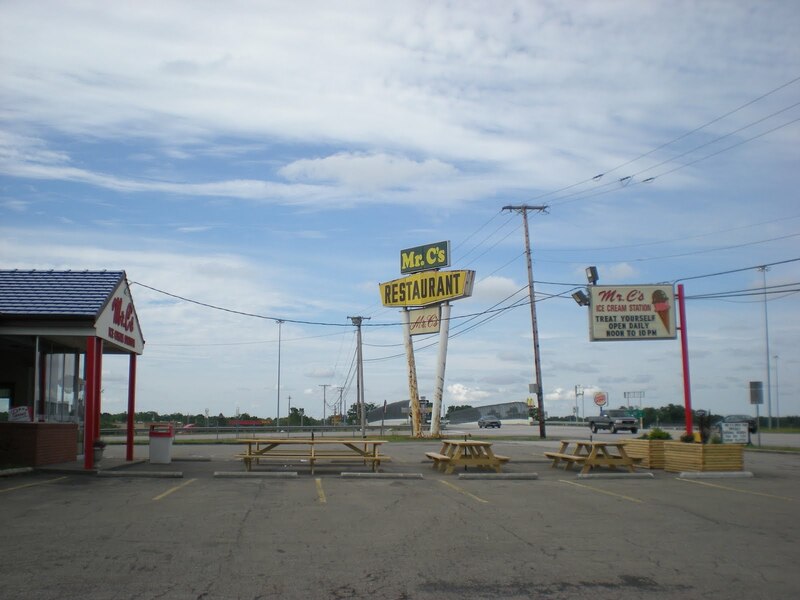 It was a sweet delicious concoction that I would order again in a heartbeat. The ultimate girly drink. 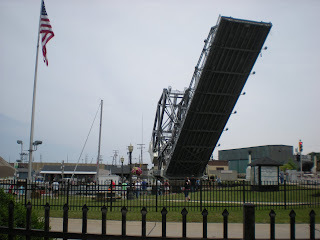 Fun resort town tourist traps! 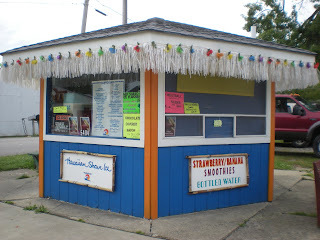 Authentic Hawaiian Shave Ice on the shores of Lake Erie! 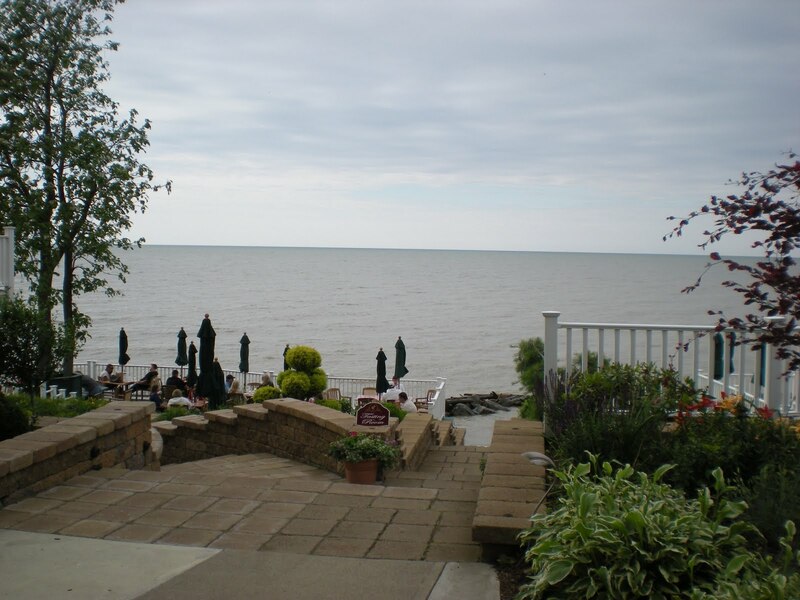 Views from the deck of our next stop, The Lakehouse Inn and Winery. Even on a cloudy day, the view was beautiful. The wine sampler here came with a souvenir glass. 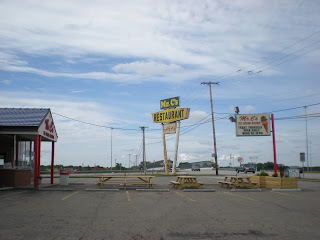 We stopped for ice cream at Mr. C's, which was near our hotel. Then we ended the night at Laurello Vineyards & Winery, where some older patrons were in their cups. 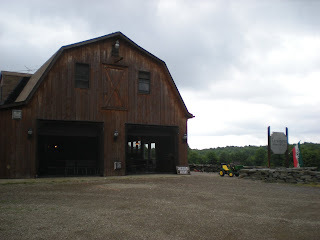 It was a decent place to hear live music and had fairly good wine. The next day, we headed back to Geneva-on-the-Lake and wandered around a little. 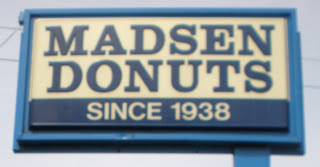 We stopped at Madsen Donuts where I personally purchased too many doughnuts. We happened to drive through the quaint town of Ashtabula, which was holding their 3rd Annual Harbor Beach Glass Festival on the weekend we visited. 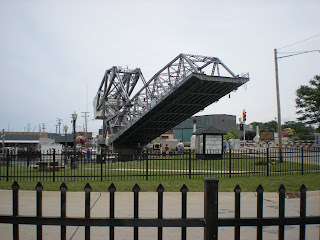 The Harbor's Lift Bridge went up just for us! I bought of bunch of jewelry at the festival, mostly necklaces made with the many colors of beach glass. After lunch we hit a few more wineries. Here is the fountain on one of the outside patios of Ferrante Winery and Ristorante. For a change of pace, we sampled beers at the Cellar Rats Brewery at Chalet Debonne Vineyards. 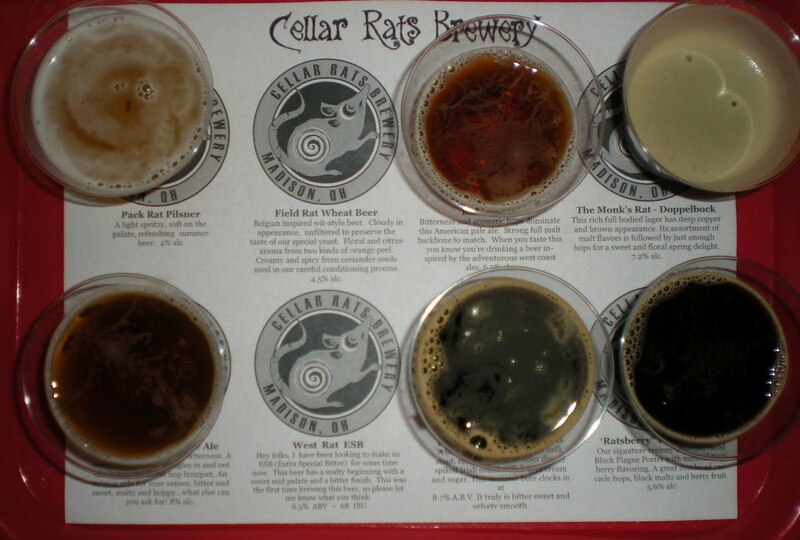 The darker beers were my favorites. 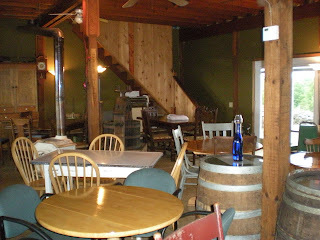 Our last stop was Grand River Cellars Winery & Restaurant where we had dinner and more wine. We ate on the deck where we caught the end of a jazz band's set. 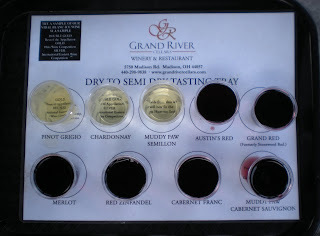 I got the dry to semi-dry sampler because I wanted to get a glass of ice wine for dessert. It was really the perfect end of a great girls' weekend.